Pope John Paul II es una serie de televisión de la cadena CBS, escrita y dirigida por John Kent Harrison basándose en la vida del Papa Juan Pablo II. Cary Elwes interpreta a Karol Wojtyla (Juan Pablo II) durante sus años adultos antes de ser electo Papa el 16 de octubre de 1978. 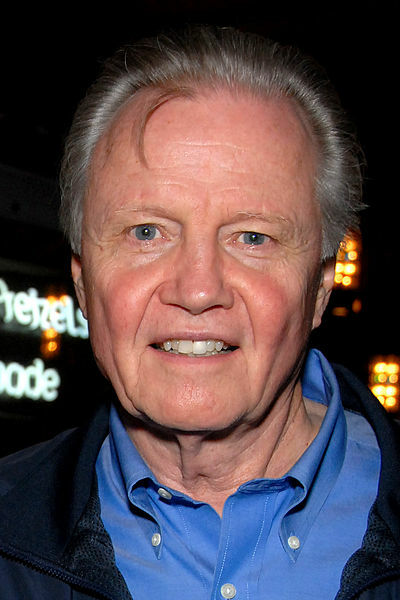 El ganador del Premio de la Academia Jon Voight interpreta a Juan Pablo II durante sus 26 años de papado, logrando una nominación al premio Emmy por su interpretación. La serie se dividió en dos episodios con un total de 200 minutos. Pope John Paul II, comienza con flashbacks al joven Karol "Lolek" Wojtyla cuya fe y valores son inicialmente fomentada por sus amorosos y devotos padres, quienes, junto con el hermano mayor de Karol, fallecieron cuando este tenía 20 años de edad. Despite being on his own at a young age and enduring the effects of the Nazi occupation in Poland, the philosophical Karol remains optimistic that he can and must make a difference. Along with his university friends, Karol initially embraces the world of theatre, acting in clandestine plays as a means of retaining his Polish culture in spite of the risks involved. In the midst of the chaos surrounding him as ongoing atrocities are suffered by Polish Jews, academics, religious leaders and others, Karol accepts a calling to become a priest. Karol's training takes place in an underground seminary run by the Archbishop Sapieha, a defiant force for the people of Krakow under the Nazi occupation, who becomes Karol's mentor and involves the young man in the resistance movement. After being ordained a priest by Sapieha, now a Cardinal, Karol completes his graduate studies in Rome and returns to Poland, where he's assigned to become a student chaplain at St. Florian's parish in Krakow. The athletic 28-year-old Fr. Karol Wojtyla immediately bonds with the university students who savor his relaxed approach and join him to kayak to his inspiring Masses in the wilderness away from the watchful eyes of the Communist authorities. He was then appointed Professor of Social Ethics at Catholic University of Lublin, Poland and then when Karol is only 38-years-old, the Holy See appoints him Auxiliary Bishop of Krakow. Continuing to cultivate faith with the people, despite the restrictions imposed by the Communist leaders, Karol chooses to hold Mass in an open area in the Communists' new Polish church-free city, Nowa Huta. Though he repeatedly enrages the Communist authorities, he impresses influential foreign cardinals with his views, his charisma and his knowledge of multiple languages. At 47, Karol is made a cardinal by Pope Paul VI and, on October 16, 1978, after 455 years of Italian popes, Karol is elected Pope and takes the name John Paul II at the age of 58. During his extremely active papal years, most of which take place after he survives a 1981 assassination attempt, John Paul II takes part in international negotiations and presses Soviet leadership to remove obstacles to freedom of religion in the countries under their control. He travels across the globe to promote faith, values, peace, forgiveness, and, especially in regions lacking it, freedom of religion. He asks for forgiveness and brotherhood with the Jewish people and reaches out to the world's Catholic youth. During John Paul II's first pilgrimage to Poland in June 1979, he ushers in an era of hope that motivates the Polish people and their Solidarity leadership to eventually bring a hard-fought end to Communist rule there. This passion ultimately spreads throughout the rest of the East-bloc as well. Despite health obstacles in later years, John Paul II refuses to curtail his busy schedule. He continues to challenge and inspire millions of people throughout his lengthy illness and during his last days. Hola, quisiera saber si es posible descargar esta película ... si alguien tiene información por favor mandar mensaje ( maomeza_1982@hotmail.com ). GRACIAS !! !